Jersey.com was re-launched in June 2016. Since launch over three million visitors have generated over one million direct referrals to partners who use the My Listing Portal to promote their business and activities. Jersey.com is the first point of call for many visitors to the island, and our greatest asset for inspiring visitors to discover #theislandbreak. All of our marketing - from social, digital, press and print media - drives potential visitors to Jersey.com. Use the My Listing Portal to receive direct referrals to your business. Discover how some partners are optimising their profile using the Portal here. 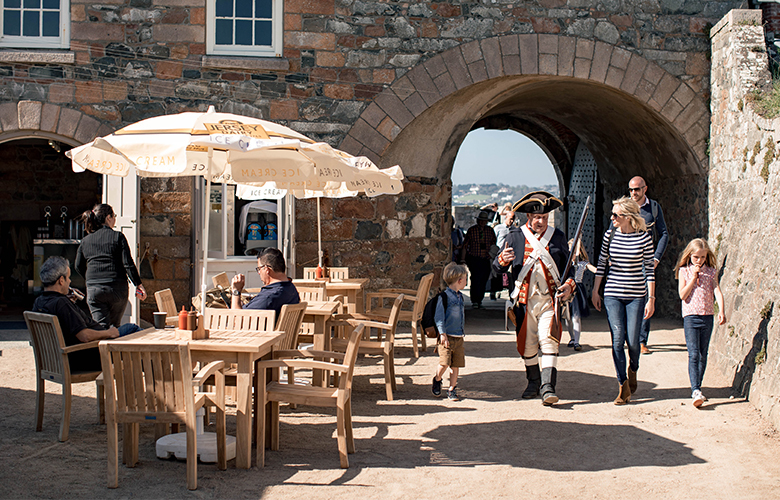 We offer FREE listings on the website to businesses in Jersey including: accommodation providers, attractions, event organisers, restaurants, cafés, bars, retailers, activity providers, tour guides and tour operators. You have control over your listings and where they feature on the website, by using an easy-to-use portal. As part of the Brilliant Basics programme we have created a step by step guide to help you make the most of the My Listing Portal. You can download the guide below. Meet Richie. He shares inspiring, engaging, spirited, funny content. He celebrates #theislandbreak in the content he shares. We want your stories to be at the heart of what we do. Using the toolkit is the first step to make your tourism business accessible for everyone. Find out how to get started and prioritise accessibility in your business.